Work includes corporate and brand identities, print collateral such as magazine, leaflet and brochure design, as well as websites, exhibition and event materials. Design consultancy - advising clients on visual communication, delivering high- level campaigns and projects. Naturally thinks outside the box! After graduating from De Montfort University Jo started her design career at the International Lift Company, maintaining their corporate image, creating visuals for tender, high quality presentations and exhibition stand design. Jo then worked as a Senior Designer and Production Coordinator for the Government organisation Improvement and Development Agency (IDeA). She produced high level graphic designs for the IDeA, including a range of publications from flyers to information packs, brochures to complex PowerPoint slides, working within corporate design guidelines. Jo was responsible for the management of print jobs from start to finish, sourcing suppliers, requesting quotes and working to budget. Jo also worked for a major Law firm based in London as Senior Designer; managing the Creative Team, designing and developing brand guidelines. Jo and her team pushed the brand to its full potential by exploring different ideas and creating new designs and formats for invitations, advertisements, exhibition stands, online and multimedia. 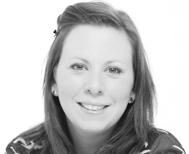 Jo worked closely with her team, marketing executives and adhered to detailed design briefs. Jo provided advice direct to the client on style, typography and visual impact. In 2006 Jo set up her own successful design company and has now formed a creative partnership with her sister, Nicki. Clients range across a broad spectrum, from SMEs to global companies. Projects have included high-level graduate recruitment campaigns, web design, brand development and advising clients on guidelines and procedures. Jo loves to be creative in all aspects of her life from Interior design within her home to creating fun parties with all the accessories for her children. Family and friends play a big part in her life, she likes to host family parties and to socialise. She likes to keep active by walking and letting her hair down at her local Zumba class.